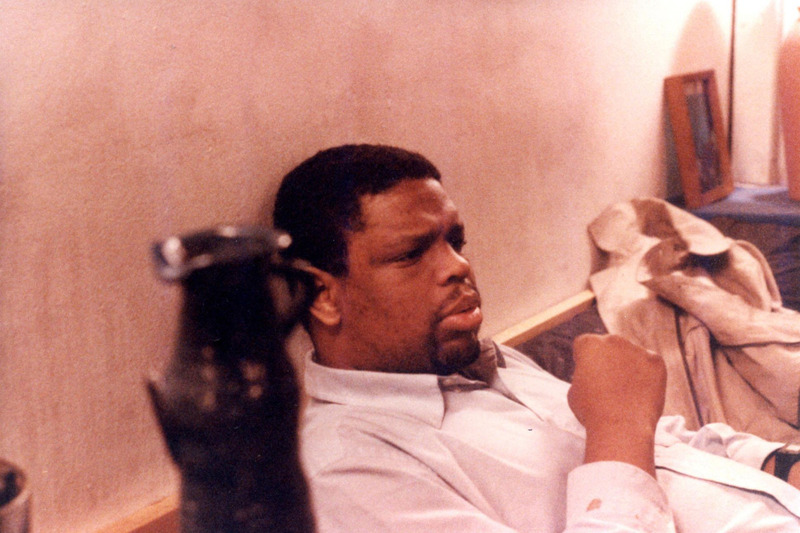 Dwayne McDuffie (1962-2011) was keenly aware at a very young age that heroic protagonists who looked even remotely like him were no where to be found in the comic books he loved to read. Ethnically diverse characters were not only woefully underrepresented, but grossly inauthentic. Profoundly inspired by seeing himself reflected in the media as a hero for the very first time via the Black Panther, young Dwayne grew up to become a pioneer of diversity in both the mainstream comic book and animation industries, encouraging and creating widely inclusive, cultural variety with contemporary, non-stereotypical characters to represent the hero in ALL of us. 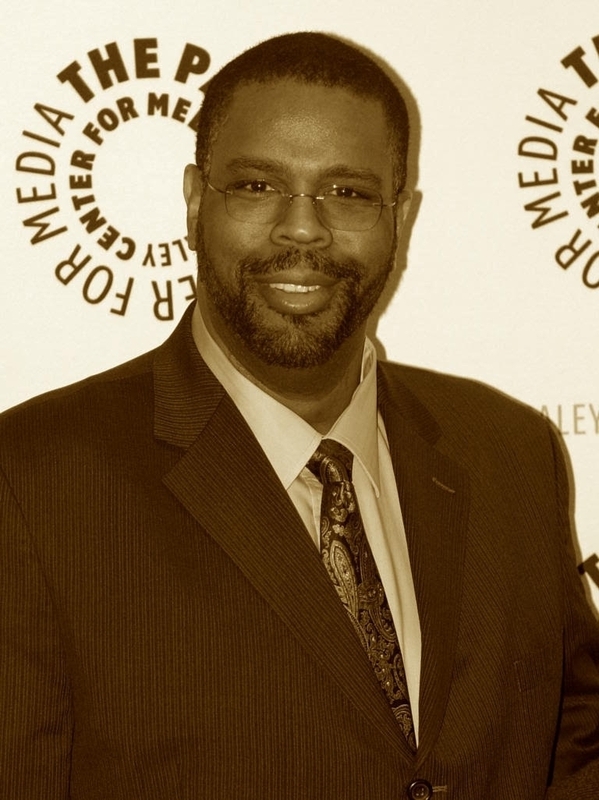 Today, a Dwayne McDuffie gofundme campaign exists to continue his legacy. The funds raised here by his estate and handled by his widow, Charlotte (Fullerton) McDuffie, are to help establish The Dwayne McDuffie Foundation, which will be a non-profit organization to award academic scholarships for diverse students. The fund will also continue to keep Dwayne’s vision alive by managing and maintaining an archival website for research purposes, and applying on behalf of Dwayne’s fans for his star on the Hollywood Walk of Fame. Thank you all in advance for your contributions and for sharing Dwayne’s vision. "Honestly, Dwayne was always expressing frustration that people were just not listening to him, that no one out there in the world was really getting what he was so tirelessly trying to say about and to all of humanity through his (outstanding!) creative work . It has brought such wistful tears to my eyes since his death to be able to know now for a fact that yes, Dwayne, more people than you ever realized truly did and do understand on a visceral level, wholeheartedly agree with, and support the deeper meaning of your life's work--not just that you told a bunch of pretty good superhero stories. Your passion for inclusiveness, for the entirety of the human race being allowed access to a personal representation in the media--both on screen and behind the scenes--did not go unappreciated as you feared. Far from it! And all the people you did manage to reach during your lifetime have chosen to proudly continue the spirit of your work for you now that you are no longer here to do it yourself. You rest, Sweetie--it's okay, we got this. We won't let you down. Promise." DIGITAL PERK Never shared before now! 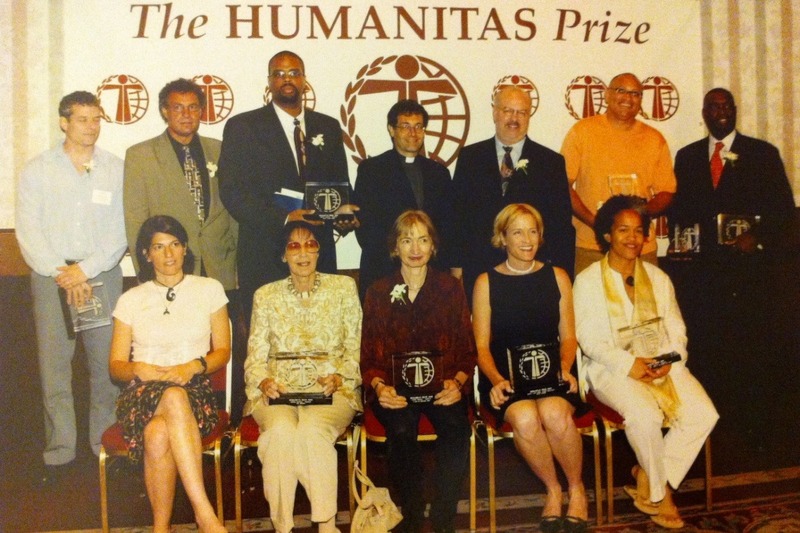 Dwayne and producer/writer Alan Burnett winning Humanitas Prize in Children's Animation Category for the STATIC SHOCK "Jimmy"
In his creator bio Dwayne joked that after writing THE ROAD TO HELL COMIC he hoped he wouldn't have to give his Humanitas Prize back! 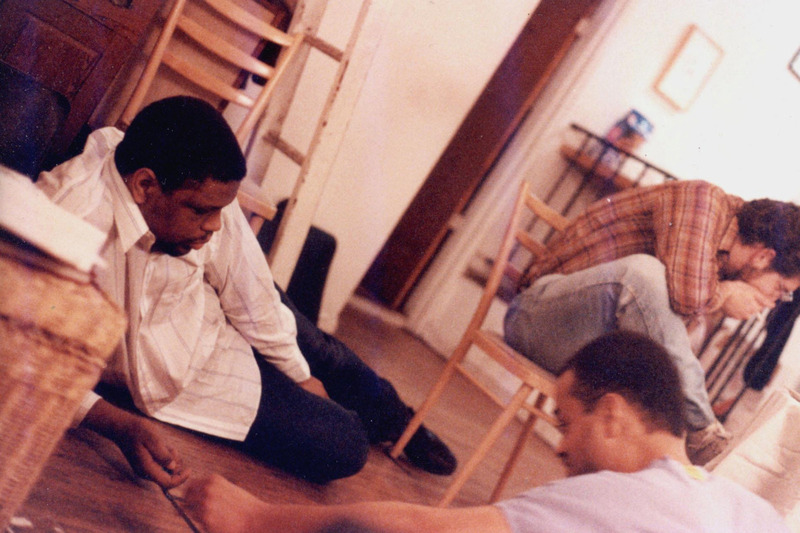 Courtesy of Dwayne's friend and former NYU classmate Gregory Wright, some rarely seen photos of Dwayne from 1985 as the most popular NYU Resident Advisor! True to form, back in his early days you rarely if ever saw Dwayne smile in a photo. If you look closely you can spot writer Matt Wayne in one of the photos. 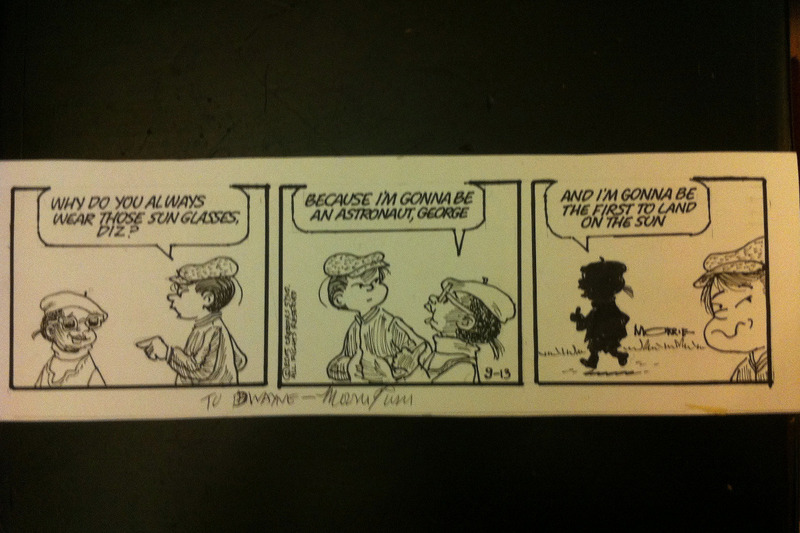 Dwayne was a huge fan of Morrie Turner's WEE PALS comic strip as well as the animated series from Rankin/Bass. 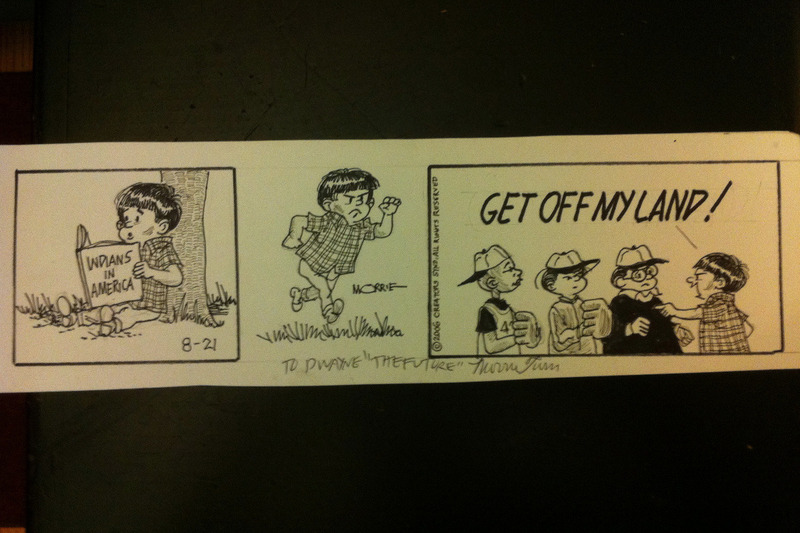 Enjoy these classic WEE PALS comic strips signed to Dwayne by creator/cartoonist Morrie Turner, from Dwayne's personal collection, destined for the Smithsonian NMAAHC. 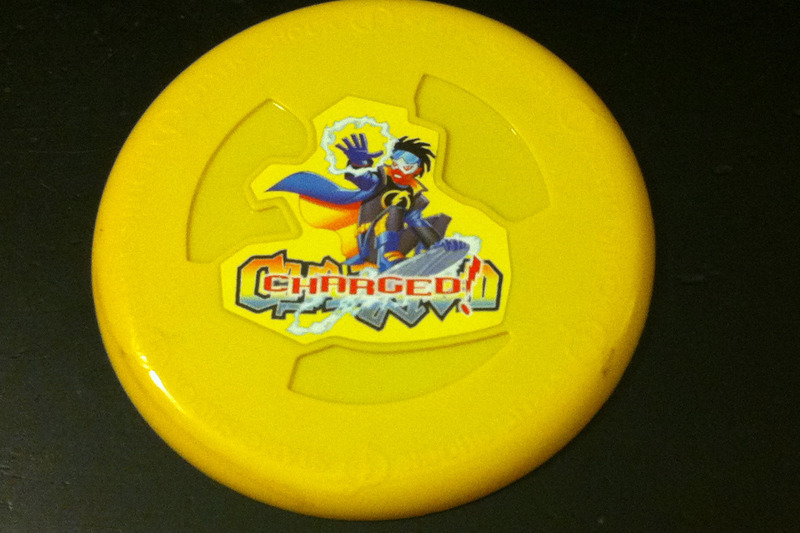 Despite being a ratings hit (eclipsed only by the mighty Pokemon) Static Shock wasn't able to get toy companies to license products due to a huge misconception (that still exists!) 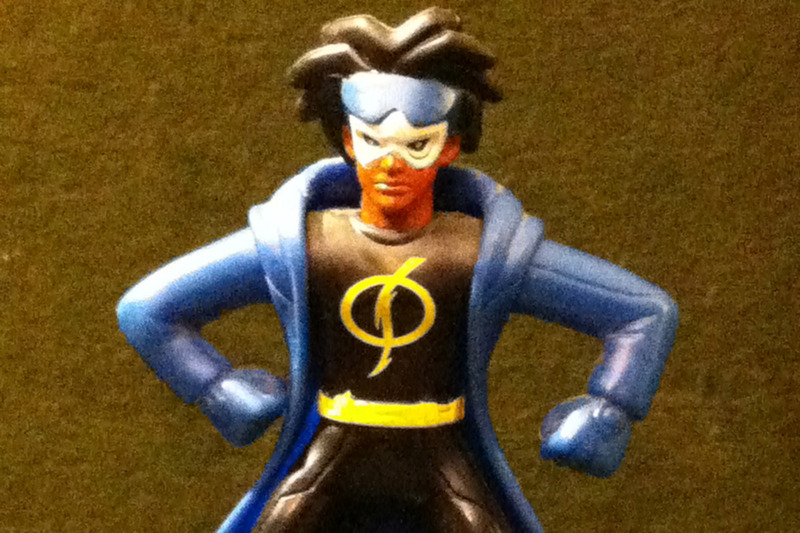 that minority superheroes don't sell toys, which ultimately killed the show. 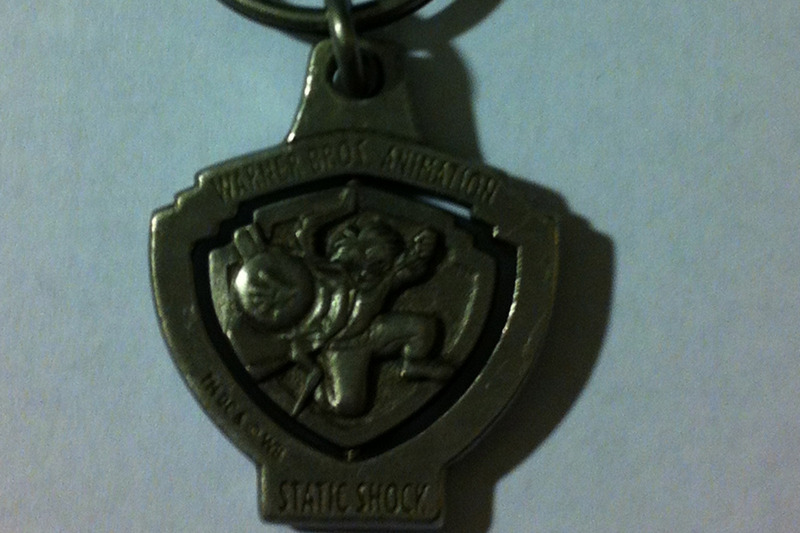 Take a look at some of the few licensed merchandise from the show including a giveaway figure in Subway’s kids meal from Dwayne's personal collection, destined for the Smithsonian NMAAHC. THANK YOU for your continued support of The Dwayne McDuffie Fund! I love Dwayne McDuffie and Justice league. Dwayne gave me the inspiration to spread diversity in a creative, positive manner. Least I do is give him and the like-minded my blessings. Happy Birthday, Dwayne.